Let’s face it: no one expected Driver: San Francisco to be any good. Despite being something of a pioneer back in the day, with a huge 3D world leaving GTA trailing with its 2D roots, recently the series has suffered some considerable lag. From the bug-ridden, downright appalling Driv3r, to the similarly mediocre Parallel Lines, something needed to be done to revive this quickly dying franchise. So what did Reflections, now under the wings of Ubisoft, do to give the series a shot of adrenaline? Inject the series with a heavy dose of supernatural craziness, and though this instalment is somewhat convoluted and strange, it’s definitely an appealing kind of weird. You reprise the role of Tanner, and once again you are gunning to take down antagonist Jericho. About to be put in prison, Jericho manages to escape and, in the struggle to take him down, Tanner is put in a coma. Instead of the credits rolling, however, Tanner notices some funky happenings - mainly him possessing the driver of the ambulance he’s in. It takes a while, but he manages to come to grips with this new-found power known as Shifting. With this, he aims to track down Jericho and uncover his schemes, all the while still laid up in hospital comatose. It’s utterly insane, completely cheesy and hardly Oscar-calibre stuff, but DSF’s story is completely entertaining in the context of its atmosphere. In other words, it perfectly apes those awesome car-chase films like Bullitt, especially considering its set in San Francisco, albeit with a supernatural twist. 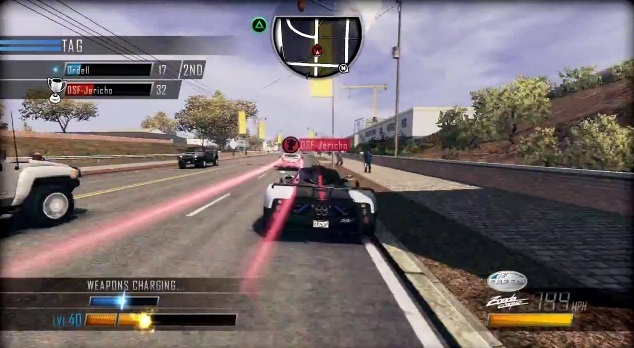 Unlike its predecessors, DSF scraps the previous game’s shooting sections in favour for pure driving. This is good, because shooting sections, especially in Driv3r, were not welcome. 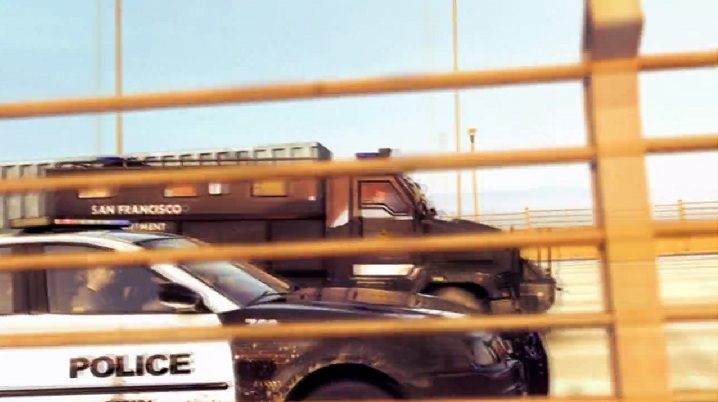 After a brief prologue, you are free to roam and drive around San Francisco. The game’s main content is broken into Story and Side missions. You usually have several story missions available at once, with completion of these unlocking extra side missions. The mission types are pretty basic, as you have standard races, as well as cop chases, checkpoint races and takedown modes requiring you to wreak the other racers. There are also Dares, which task you with completing challenges such as maintaining a speed for a certain amount of time, as well as Movie Challenges which unlock by picking up collectable film reels. What ultimately shakes up the game is the new Shift mechanic. With the press of a button, Tanner can zoom into the atmosphere and possess civilian drivers on the road. 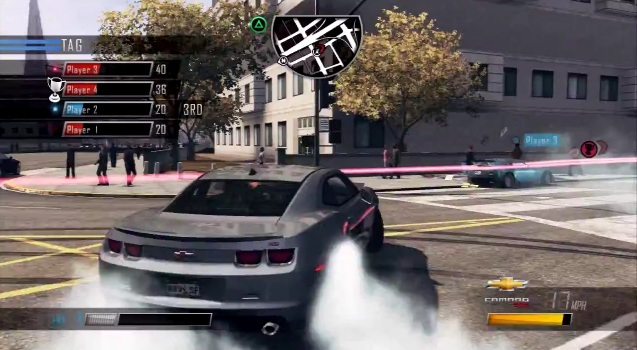 As you progress, you unlock abilities for this trick such as zooming out further and being able to jump between related vehicles such as two cop-cars in one chase. It sounds gimmicky, and it’s confusing to use at first, but once you get to grips with this mechanic a whole new game opens up. It adds twists to everything; races can be won by possessing oncoming vehicles and wrecking other drivers, which is especially useful in team races, and the same can be applied to takedown events. It can also be hilarious as you possess cars with passengers, and you gain insight into the lives of the most ordinary of people including squabbling couples which Tanner awkwardly interrupts, albeit without the other party knowing. It’s a unique feature which works extremely well, and goes a long way to reviving this franchise. Success brings rewards of course, and DSF gives the player Willpower as a form of currency. You earn Willpower not only from completing events, but also from performing stunts while driving such as jumps, boosting and drifting. Willpower can be spent in two ways; vehicles and upgrades. There are over 140 licensed vehicles in the game, and the variety here is pretty wide. The game runs the gambit from Ford, BMW and Chevrolet sport cars to Fire trucks, Garbage Disposal vehicles and more. You can unlock bigger boost/shunt meters, faster recharge, a Thrill Cam which attempts to emulate those car chase movies, income multipliers and collectable scanners which can reveal the location of all the game’s Movie Reels once upgraded. There’s not a whole lot of strategy to upgrading and car buying, as you can likely gain way more income than needed to unlock everything, especially as you gain WP every twenty minutes of gameplay. DSF isn’t perfect though. The driving has a looser feel, maybe to simulate the Hollywood style of driving, and while it means for entertaining crashes during chases, it can be frustrating spinning out near the end of a race. This isn’t helped by some inconsistent A.I which covers both extremes. You could be about to finish a race miles ahead when they gain considerable ground on you in an instant, and in contrast they can be a checkpoint away and suddenly slow down at the end, almost taunting your slow speed. The game also has some weird invisible walls, as fences cover up anything outside of the road and cause you to drop dead mid-jump. But these flaws can be overlooked because, when at its best, which is more often than not, San Francisco is a thrilling, blood-pumping driving experience with a truly unique trait. Though the story missions are pretty brief, tackling all the extra missions will give you close to 20 hours of content, meaning there’s plenty of bang for your buck. The game offers a New Game Plus, but it’s pretty inconsequential considering you can load your game and complete its content post endgame. Once done with single-player, you can hop into the multiplayer mode. Things appear restrictive at first with Reflections deciding to lock modes depending on rank, meaning lower-level players have limited choice at first. Once you progress, the mode really opens up, with over 19 different modes of play including standard races, tag modes and trailblazer, which tasks you with following closely behind a vehicle. The Shift mechanic enhances the game’s competition, as frantic shifting occurs with drivers desperate to gain access to a faster vehicle. And because the mode takes place in the big open world of the single-player, the action feels very expansive. With a ranking to keep you busy, the multiplayer adds further longevity to an already content-heavy experience. Another key component to the game is its style, thanks in no small part to its presentation. Though set in modern day, the game feels like a throwback to a 1970’s San Francisco, with the soundtrack putting emphasis on older funk bands which make the driving feel extremely groovy. But there’s also more modern bands such as Queens of the Stone Age and The Black Keys, yet they don’t detract from the feel either, fitting the driving like a glove. The cheesy dialogue and acting are more funny than intense, but it’s perfect for the game’s vibe. DSF also looks great, with beautiful lighting and reflections from attractive vehicles amongst a well-detailed and accurate recreation of the city. The game also runs at 60 frames per second, which keeps the game feeling fast-paced. The damage system can be a bit funky, with huge crashes not even leaving a scratch, and the game’s tendency to jump between pre-rendered cut-scenes and in-game driving is a bit odd, but overall DSF is an attractive package with a great sense of style. 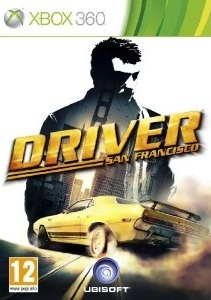 Perhaps one of the biggest surprises of 2011, Driver: San Francisco trumps its polluted legacy. The Shift ability is an exciting addition to the genre, shaking up pretty much every mission and challenge in the game. It’s weird at first, but the new mechanic is something that any racing fan can decipher quickly. 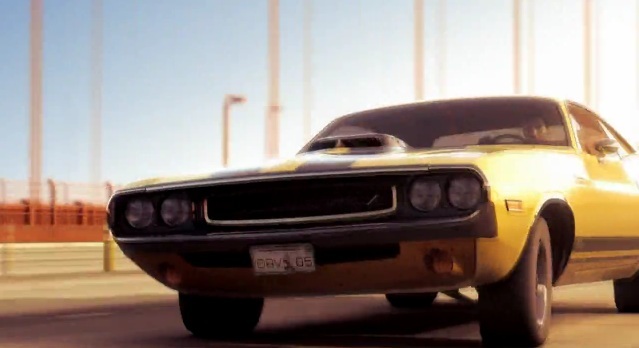 It manages to create an experience which is comparable to the car-chase exploitation movies it’s inspired by, with high-octane action and a sense of speed that will get the blood pumping. And the old-school atmosphere makes a refreshing change from the more grungy modern crime games. It has its share of flaws, and some may not take to the 70s vibe in a modern setting, but anyone looking for a different kind of racer will find great fun here.